As our Everest team finalise their packing, bid farewell to friends and family and start their journeys to Kathmandu, our final preparations have been underway behind the scenes. In recent weeks, we’ve been getting all the necesary equipment packed up. 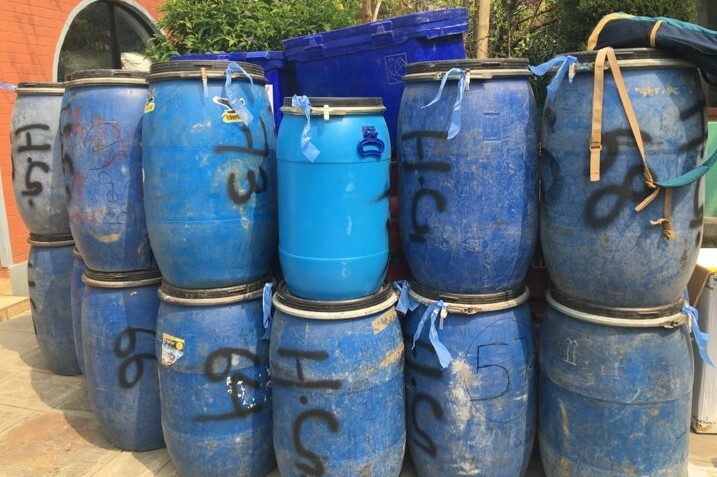 For our team on Everest, their life for the next 2 months is in these barrels. It’s their life line. They are stuffed full of food, climbing gear and equipment – inlcuding ropes, tents, mattresses, chairs, communications systems, cooking equipment and a selection of British food for some home comforts on the mountain! These barrels will soon be making their way to Tibet, to Everest North Base Camp. We never compromise on logistics and scrutinise them down to the finest detail. We always strive to be at the top of our game – to be in the category of the very best. Of course, there is always room to learn, grow and adapt but we really do only work with the best in the field and we are incredibly proud of that. We are relaxed in the knowledge that our costs help pay for top of the range kit for all our team – inlcuding our high-altitude Sherpas. 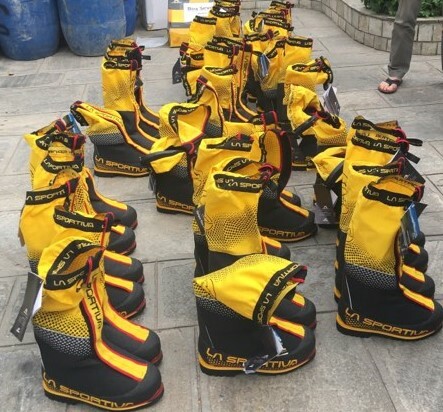 Here are the shiny new La Sportiva high altitude boots our Sherpa team will be wearing. It’s not uncommon for many companies to pay poor wages and donate second hand kit to their teams. We constantly ensure we are delivering quality, not only to our trekkers and climbers but to our team on the ground. We’re one team after all! We’re proud that our Himalayan veterans will have toasty feet at the summit of Mount Everest, helping them to stay safe. We’re incredibly excited and wish our Everest team a safe and successful 2019 expedition!